Fantasy baseball is often regarded as the oldest fantasy sports game, with the first professional league (called Rotisserie League Baseball) having been run in 1980. 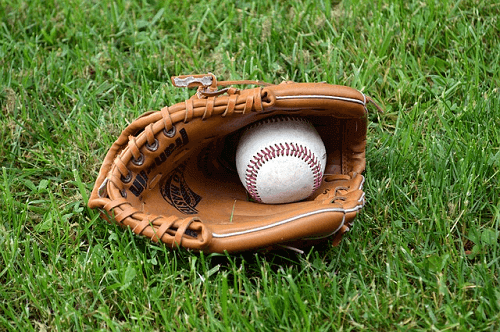 With Major League Baseball (MLB) being as popular as it is, it isn’t really all that surprising that there are many sports books that offer fantasy league options for the league. Below we explain all there is to know about fantasy baseball betting, including the best sports books, strategies and bets. So, read on and become a pro! Bettors pick a team of players based off current MLB rosters. Professional players are given a value and a bettor’s team has a salary cap that cannot be exceeded. It is important to note that bettors need to base their team on the line-ups of a particular game day. A bettor’s team will then be judged based on the real-life performance of players. If a particular player does well, he will earn loads of points. If he plays badly, his score will reflect that too. Sites will automatically tally up points so that bettors do not have to keep track of each player themselves. It is possible to check the performance of your team at any given time using a browser or app on your mobile device. As with all fantasy leagues, it is important to keep track of the MLB. It is only through this that bettors will grow to learn which players are performing well and should be included on their team. It is important to note that the strategy you devise for single match bets will differ from those made for season long leagues. If you see a particular player has been on hot form in recent matches, you may want to pick them for a single match fantasy line-up. However, your aim for season long bets should be to draft a team that is consistent if nothing else. If you’re building a daily fantasy baseball squad, have a look at the conditions of each match up. Some games may have more favourable weather conditions for hitters, other teams may be having a string of bad luck and some players may simply be on form. These are all factors to take in account when building teams for a quick game. There are a load of other factors that could help you build the best fantasy baseball team the world has ever seen. These are just a handful in a game filled with surprising outcomes. There are quite a few different things to take into account when seeking to place a fantasy baseball bet. Firstly, bettors need to find the sports book with the best odds and cash prizes. Secondly, bettors need to pick what sort of bet they would like to make (season long bet or a simple match week-based bet.) Finally, they need to have a strong look at which players they would like to pick for their team. With Gambling 360’s help, American bettors will have a great time (and win big) while betting on Fantasy Baseball online.